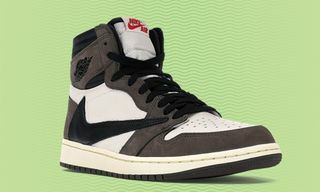 Key Features: This intricate take on the classic debut Air Jordan boasts a secret stash pocket around the ankle collar and a reversed Swoosh on the lateral side. 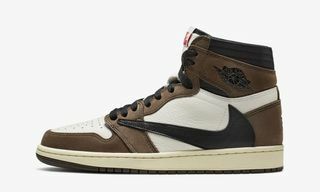 Editor’s Notes: In mid-October, Travis Scott teased fans with yet another never-before-seen sneaker, this time in the form of a Cactus Jack-branded Air Jordan 1. Now, La Flame has posted a photo on Instagram in which he can be seen rocking an alternate colorway of the reverse-Swoosh Jordan 1. 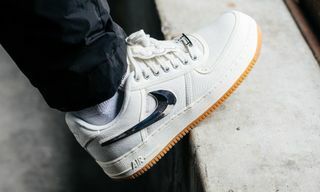 Instead of the earlier brown and white colorway, the new iteration features a black base with brown paneling and white reverse-Swoosh branding on the lateral side of the shoe. Check out the post above. Recently DJ Khaled, who was at Scott’s Astroworld tour in Miami, shared a photo (below) with the artist in which he was holding the brown/white reverse-Swoosh Air Jordan 1 for our best look at the rumored release to date. 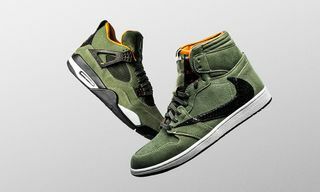 Both versions come in fall-ready earthy colorways and, again, put a unique spin (quite literally) on Nike’s Swoosh branding. 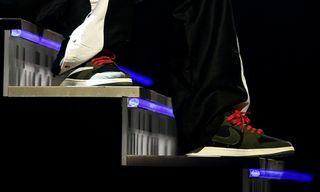 The most curious aspect of the shoe, as revealed earlier, is its hidden pocket at the ankle, in which you can store cash and other paraphernalia. Scott previously teased a purple pair of Air Jordan 4s, which remained exclusive to friends and family. 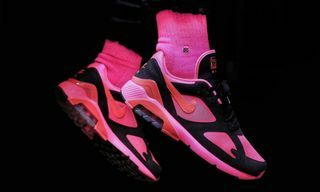 There’s no indication yet whether these will remain exclusive to Scott’s nearest and dearest, or released for the rest of us to cop. 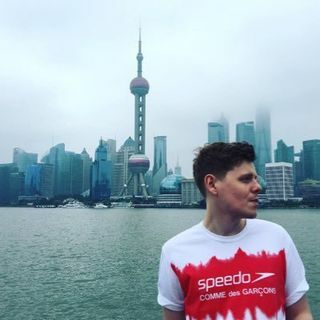 What do you make of Scott’s sneaker releases so far? Drop us a line below. Now, read the complete history of the Air Jordan 1.